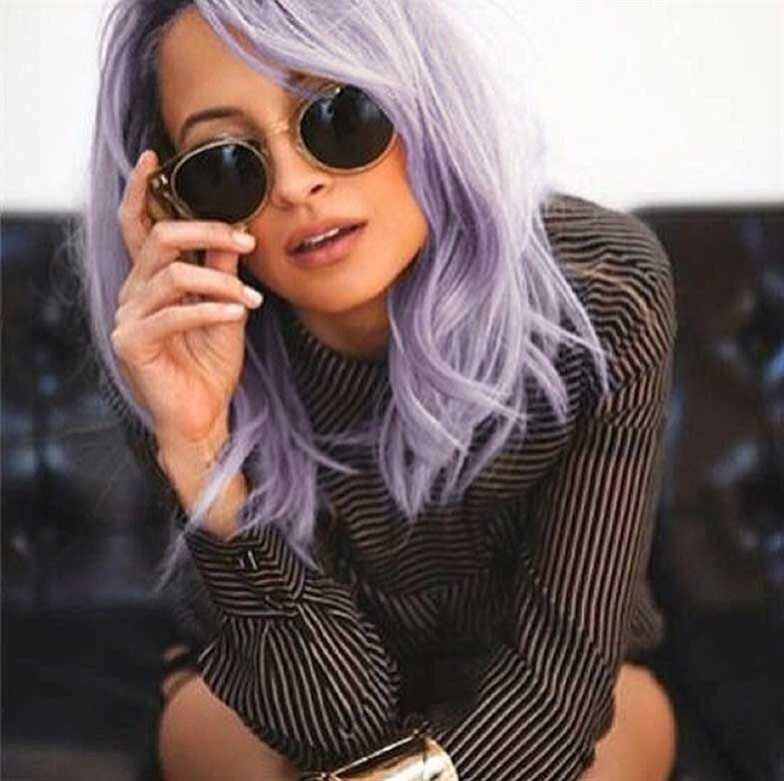 Nicole Richie... Kool Aid Purple Drink Hair! Ok, I only called it kool aid purple because that's exactly how the punk rock girls I grew up with got this particular shade of lilac. It is official though, Nicole has lilac coloured hair, and frankly, I love it. She looks hot. Good on Nicole for experimenting with her hair, and going for something that might seem a little risky, but nonetheless still looks new- classic in a Nicole Richie kind of way. High risk, high reward.